San Diego’s endearing ocean-moderated Southern California climate is hard to beat and enables year-round enjoyment of the area’s many outdoor amenities and activities. The economy has typically been strong and the city is well endowed with arts and recreational amenities. This has drawn the crowds, including retirees, overseas and domestic migrants, and migrants from other parts of California. The cost of living, once a relative bargain for California coastal cities, is no longer low. Commute times have risen and air quality problems have worsened. All this said, the San Diego area still has a lot to offer. Downtown is mix of modern and old Mission-style architecture, pleasant but nondescript with a nice waterfront area dominated by hospitality activities. Balboa Park just to the north is an urban treasure. San Diego Bay and Mission Bay offer excellent boating and water recreation, and Sea World and the San Diego Zoo are nationally famous. Farther to the north along the coast, La Jolla is an attractive if expensive beach enclave. 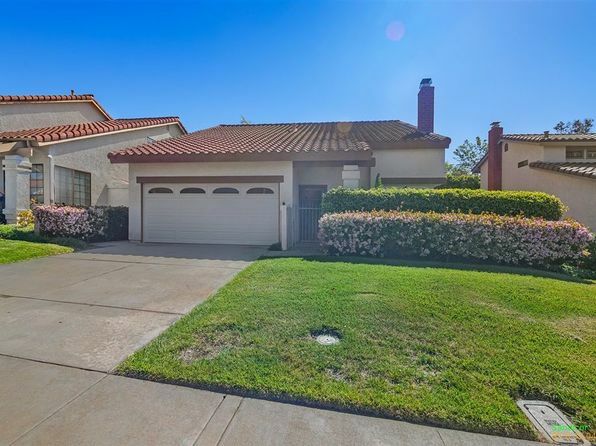 Residential areas have grown to the north along State Route 163 and I-15 in places like Poway and Rancho Bernardo. Still farther north along the coast lies the entertainment, shopping and retirement seaside town of Carlsbad, pleasant but expensive, and San Marcos lies inland near the more famous desert retirement enclave of Escondido. Most of these communities are very attractive but demand and geographic limitations have raised prices considerably. 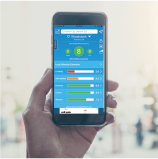 A number of companies, particularly in high tech, have located facilities in these northern areas thus avoiding the need to commute downtown, or, worse, across the area’s mountain ranges. Areas to the south toward Mexico have a working-class character. Travel downtown and to the airport is easy at all but the worst times, and suburban roadways are generally well planned and devoid of major traffic bottlenecks. San Diego itself is located on a narrow coastal plain giving way to desert foothills to the east and north. Local vegetation is sparse coastal bush and grasses, with desert scrub inland. The Mediterranean climate is pleasant year-round. The strong Pacific influence creates cool summers and warm winters in comparison with other places at the same latitude. The climate varies according to proximity to the coast. Temperatures below freezing are rare, while desert-influenced temperatures above 90 or even 100 do occur. Desert winds bring the highest temperatures during early fall. Most precipitation falls in winter, but there may be an occasional thunderstorm or tropical rain. Morning ocean-borne low clouds (called “fog” or “June gloom” locally) occur in summer but usually dissipate by afternoon. Humidity is low and sunshine is plentiful for a marine location. 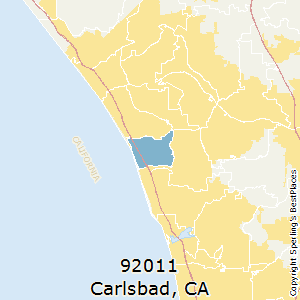 The median home price in Carlsbad is $934,700. Browse Homes in this Range. Compare Carlsbad (zip 92011), California to any other place in the USA.